Best Cheap Dog Food To Look Out For! Are you on a strict budget? Well, I get it. Sometimes we all have to face some hard times. But, you really don’t have to make an adverse change in your furry friend’s diet! When you’re looking for a dog food, it’s not the brand name or presence if the dog food that matters. What matters most is the ingredients in your doggy’s food. So, today, I’ll be discussing some of the best cheap dog food brands that are available to buy. Don’t worry! I’ve got you covered! So, let’s start, shall we? Let’s take a look at the five best cheap dog food brands that we’ll be looking at today, shall we? I’ll talk about them in depth later. Good or Harmful? : The Lies Top Dog Food Companies Have Been Telling You! Did you know that most of the kibble available in the market isn’t suitable for your doggy friend? It’s because most of the dog foods available just don’t use real meat. And if that wasn’t all, they only have enough nutrition to keep your doggy alive. And, if you look closely enough and read your dog’s food labels, you’ll see that it’s got a lot of quantity of corn in it, which is a filler ingredient. And, it’s the corn that has been deemed unfit for human consumption! Yes, it is true that most of the dog food companies use really bad quality ingredients in the food that they advertise! Food Recalls: A History You Need To Be Aware Of! You really should be keeping a track of all the pet foods that you buy for your doggy. This is because you simply just don’t know what the food manufacturers are mixing in it! In fact, there had been a huge dog food recall that took place in 2007. Do you know why? Some of the major dog companies were accused of putting certain chemicals in dog food to make it look like there was more quantity of protein in them than there actually was. The dogs that ate this food paid the toll. The thing is that the chemical that was supposedly added to the food lead to kidney failure in several doggys. This affected a lot of dogs all over the globe. From China to the United States of America! So, what I’m trying to say is that you shouldn’t just blindly trust any dog food company and take their word for it. There are a lot of filler ingredients, low-grade stuff and God knows what, which is being mixed in your doggy’s kibble! I’m trying to tell you that just because it’s the most expensive dog food on the shelves, it doesn’t mean that it’s the best one. So, sometimes, cheap dog foods are actually way better than named and well-established brands! So, let’s talk about the best cheap dog food brands, shall we? Are you just feeding your doggy kibble? Well, for starters, you can give your furry little friend some extra nutrition from treats like bell peppers, olives, tuna, and potatoes. This will simply ensure that your doggy gets the right nutrition as well as vitamins and minerals from his diet. That’ll give you peace of mind! How Can I Find The Best Affordable Dog Food? Don’t worry! I’ll help you along the way! So, I’ve got a few tips that you’ll appreciate about finding the best cheap dog food for your furry little friend. Let’s go over them, shall we? Buy more, save more: Well, it’s true when you buy shampoos, rice, etc. and it’s true for dog food as well! Read the ingredients and choose the best one! It’s simple arithmetic, you don’t need to major in Math for it! If you monthly subscribe to some dog foods, you get some additional benefits and discounts! I hope you get a little insight and save some more of that cash! Keeping track of macros, ingredients, etc. of all the puppy foods available in the market can be really confusing and time-consuming. And I get sometimes you just can’t understand those labels. They make them be so confusing! And then, there are so many brands. You just can’t keep track of the price, macros, etc. and keep yourself sane! And, so, I’ve decided that I’ll provide you with a list of the best affordable dog food so that you don’t need to spend hours and hours on research. I’ve made a table for you so that you can quickly review the macros in the five best affordable dog foods that I’ve picked up. And, I’ll later go into more detail. Okay? I’ve got one secret that I need to share with you. It’s not just the macros that count! You also need to look at the quality of ingredients in the food, their nutrition and finally, the meat content. So, don’t judge a food by the macros! The best cheap dog foods that I’ve selected for you today meet all three criteria. I can assure you that you won’t find any cheap filler ingredients in these. If we look at the ingredients alone, then, Earthborn Holistic Great Plains Dog Food is a really good quality above-average dog food. And, one of the best cheap dog food brands available! But, hold on! You need to know about the macros as well! Let’s get to that, shall we? I’ll help you turn these statistics into something you can understand! Basically, this dog food had an above-average amount of protein which is a great thing! It also has a near-average amount of fat, but a below-average amount of carbs. But, that’ not all that you have to see! This dog food also has a notable amount of meat even if you single out the protein in peas and flaxseed. A good deal, isn’t it? Indeed this is one of the best affordable dog foods! 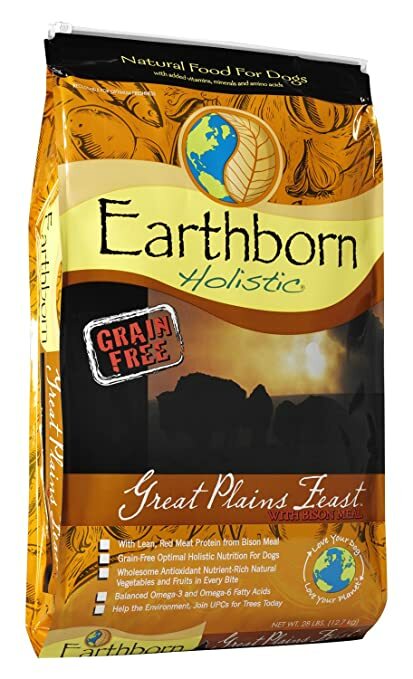 According to me, the Earthborn Holistic Great Plains Dog Food is one of the best cheap dog food available in the market. This one’s a really good deal and worth every penny. Your doggy will love it! Let’s talk a bit more about Taste of Wild, shall we? Let’s turn that into something easily comprehensible, shall we? 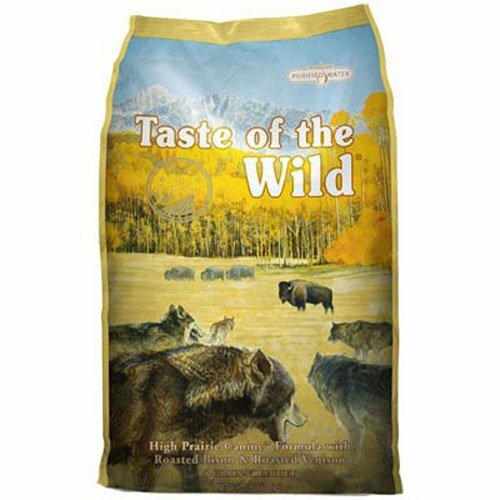 Taste of Wild, when compared to an average dog food, contains above-average levels of both, protein and fat. But, when it comes to carbs, it’s got below average levels of them. Your doggy will love this kibble! It’s one of the best cheap dog foods to keep an eye on! When you single out the protein in garbanzo beans, flaxseed, yeast, and pea products it still contains a moderate amount of meat in it, compared to other brands. So, you know you’re getting the best deal. Well, I feel that the Taste of the Wild definitely is a good plant-based dog food and it contains moderate quantities of named meats. Now, that’s what I call a great deal! We also need to talk about the pros and cons! Taste of Wild totally deserves a spot on my list of the best cheap dog foods available. I love the fact that this kibble contains a good amount of protein. When you just judge this one by its ingredients, Wellness CORE Natural Dog food definitely is certainly an above-average kibble. And, one of the best cheap dog foods available! We need to talk about the macronutrients as well! Wondering what these numbers say? Well, I’ll help you out with that! Well, as you can see, Wellness CORE Natural Dog food has above-average amount of protein, an average amount of fat, and below average amount carbohydrates when compared to other dog foods. When you single out the protein in legumes and flaxseed, Wellness dog food has a significant amount of meat in it. Now, isn’t that just great! I really feel that this one is one of the best cheap dog food alternatives that you’d want to switch to. A good option, isn’t it? So, like all the others, when you judge the Canidae life stages dry dog food just by its ingredients, it’s an above-average dog food. And that landed this one on my list of the best cheap dog foods. But, let’s not jump the gun, shall we? Confused? Well, I’ll be your savior, my damsel in distress! So, this product simply contains an above-average amount of carbs, and below-average amounts of both, protein and fats. Now, let’s talk about the meat content. When you try to single out the protein-boosting effects of flaxseeds and alfalfa, this one still contains a moderate amount of meat content in it. So, all in all, I feel that this one does deserve to be on my list of the best cheap dog foods available right now. 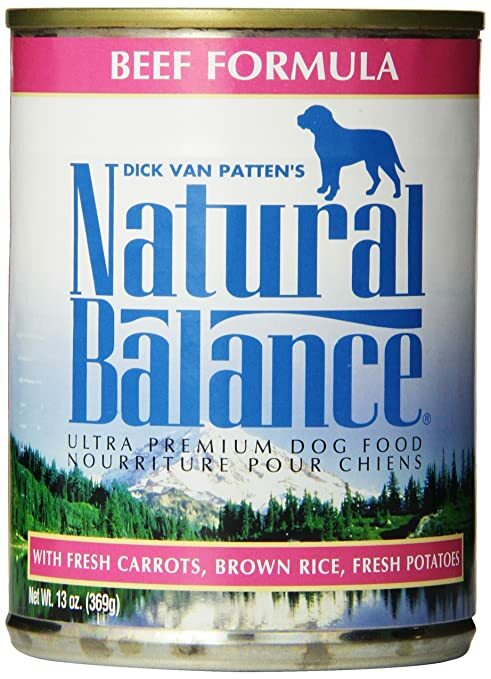 The Natural Balance Ultra Premium dog food is an above-average kibble. Now, that’s a good thing, isn’t it? So, what about the macros? I’ve got the stats ready for you! The stats simply suggest that the food has below-average levels of protein, a a near-average amount of fat, and an above-average amount of carbohydrates. But, what’s the meat content like? What I love about this product is that it is a meat-based food and contains a lot of amount of named meats. All in all, I feel that this one is one of the best cheap dog food alternatives available in the market. So, What Should I Keep In Mind? Don’t rely on just kibble, feed your doggy friend some good ‘ol home cooked food as well! 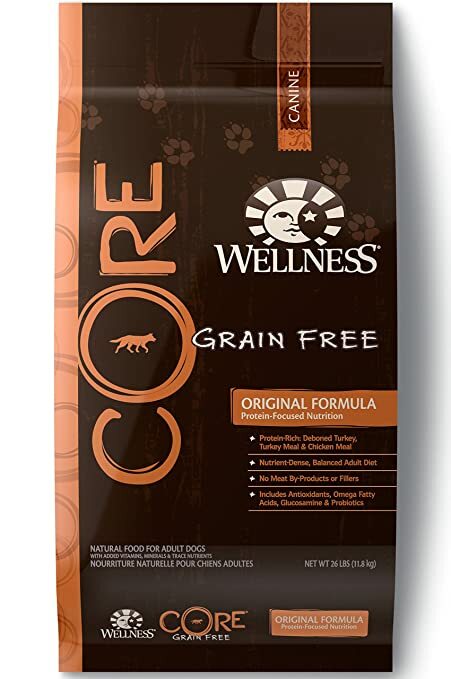 Wellness CORE Natural Grain Free Dry Dog Food is a natural alternative and your dog will love this one! 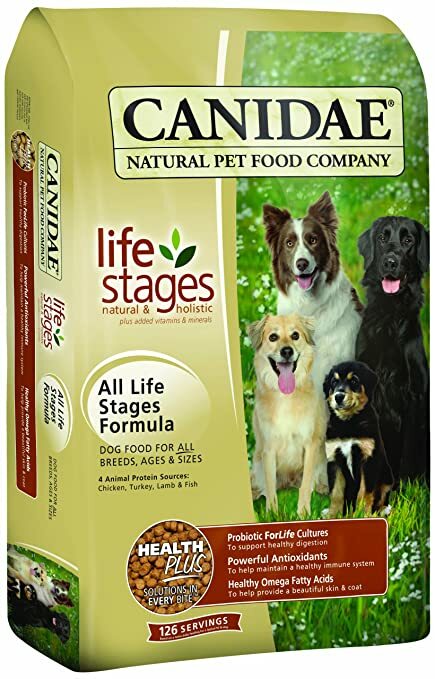 CANIDAE Life Stages Dry Dog Food is also an awesome dog food that your dog will just love! Did I help you out? Let me know in the comments section! If you’ve got any questions, I’ll be more than happy to help you out. Leave a comment and I’ll get back to you with an answer! And, all of your suggestions are always welcome!